Fall is coming! In North America, whether we like it or not, summer is drawing to an end. For some, that’s a sad annual occurrence, but those of us who crave cozy sweaters and the crunch of leaves under our feet are psyched when the foliage starts to turn. If you’re the sort who gets inspired by nature’s technicolor display of autumn leaves, you’ll want to check out this awesome tool that predicts the changing of leaves across the continental United States. Using data from the National Oceanic and Atmospheric Association (NOAA), SmokyMountains.com put together the fall foliage map we’ve all been waiting for. 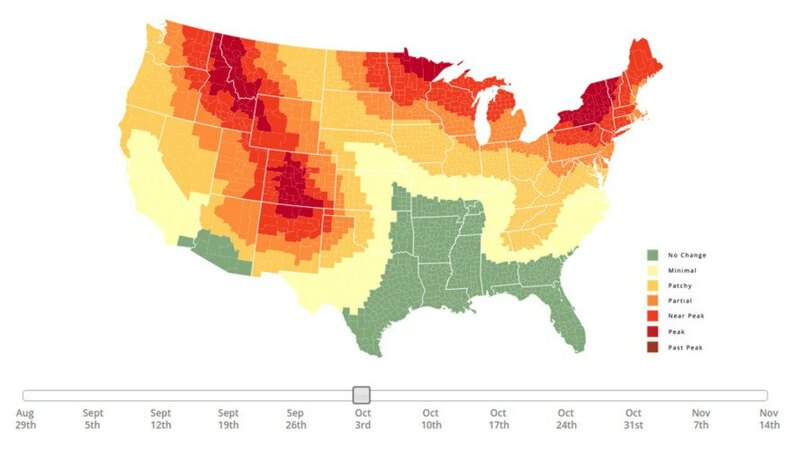 With an interactive slider at the bottom, users can select dates from the end of August through mid-November to see a representative of how the leaves will be changing in different parts of the country. 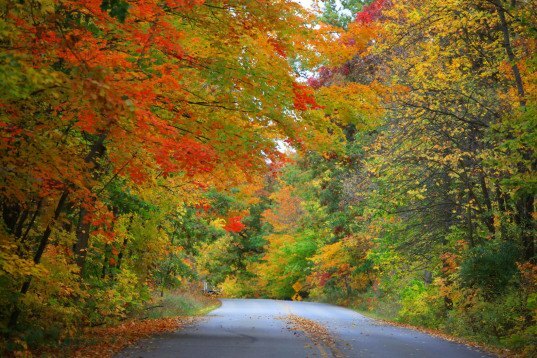 This tool could be a great way to plan a weekend getaway for scenic autumn hikes, or simply to start thinking about when to take a Sunday drive through your favorite tree-lined neighborhood. The map is just a forecast, so you’ll have to get out and see what kind of oranges, reds, and yellows Mother Nature really has to offer in your area.